Naima was born as something it never was: a jazz band. They hadn’t realised they never really used the language of jazz. So, they embraced the energy of the music they had listened to in their childhood, customising well-known melodies until rendered unrecognisable. The rockers didn’t want them either, their music being too instrumental and long-winded. Eastern artists consider that brushstrokes shape the void which lies at the heart of any painting. For the authors of haikus, the crux of their poems lies in what isn’t being said, what remains outside the words. That is how Naima build their music, note by note, like chapters of a life, leaving all labels behind. 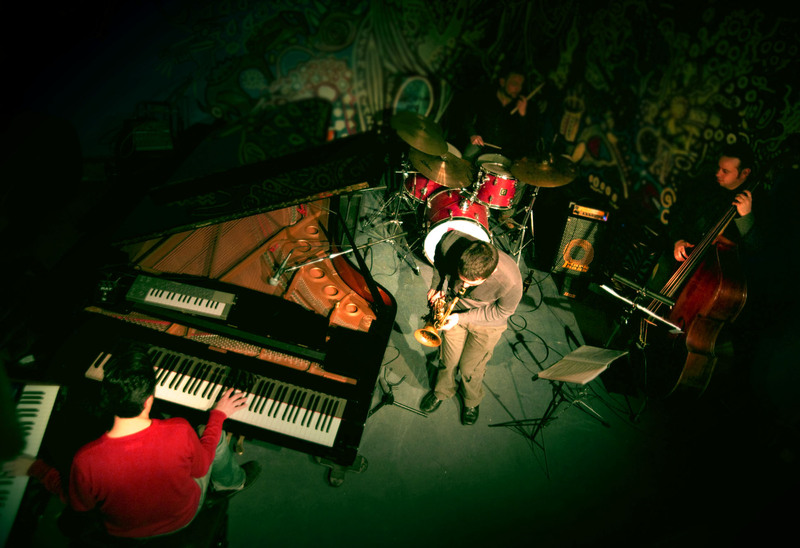 Naima are Enrique Ruíz (Piano), Luís Torregrosa (Drums) and Oscar Cuchillo (Double bass). “A Trio Conspiracy” is their third album.